Handmade in Kansas City: Support KC Makers - Who Are Making a Difference Locally and Globally! Support KC Makers - Who Are Making a Difference Locally and Globally! Zeleny is an annual arts and craft fair in Parkville, MO that celebrates artisans who use ecological practices in their creations - upcycling, using organic materials, or creating sustainable products. They have recently partnered with Parkville Artisan Studios to create mini-Zeleny eco art fairs from March through July on the Final Friday of each month. The first event is March 28th from 6-9pm. Artists such as Lu & Ed, Violet's Buds, Gipson Wands, Hang Ups in KC & many more amazing eco makers! 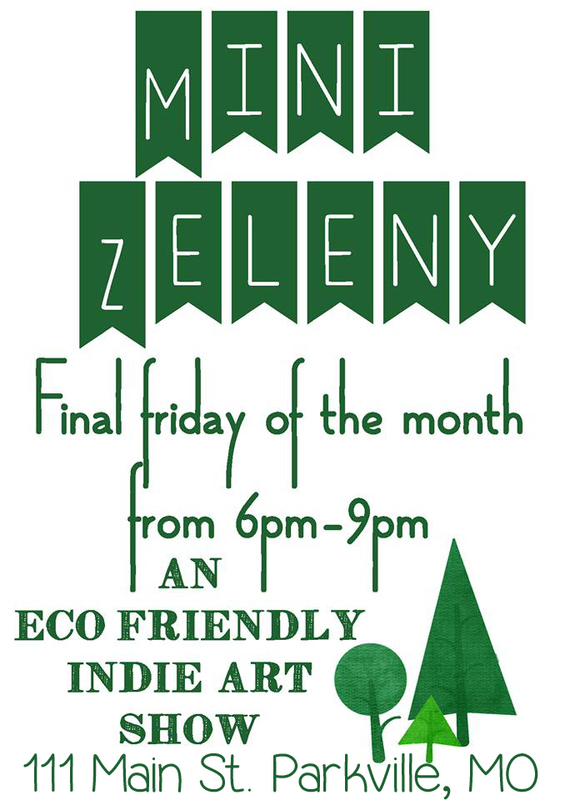 The Mini Zeleny Eco Markets are all indoor events, so come on out rain or shine and support KC makers who are making a difference locally and globally! If you can't attend but would love to help spread the word, you can click the image above and print it out as mini fliers to distribute or just click over to the Facebook event and invite your local friends!